In an ideal world, clients state clear project requirements. The design team unites around a concept. The design documents clearly express the design intent. The contractor installs and starts the system without errors. And users benefit from quality lighting and control. In reality, any number of things can go wrong. The client may have unclear expectations. There may be conflicts within the design team. The design documents may not clearly express intent. The contractor may make mistakes. And users may complain. Commissioning was invented so that even as things go wrong during the complex construction process, the end result satisfies the design intent and owner requirements. Commissioning is a quality assurance process that ensures installed building systems perform interactively and continuously according to owner needs and the design intent. It begins with identifying owner project requirements and ends with ensuring the design intent, finished design and installed systems satisfy these requirements. • greater user acceptance and satisfaction. • median 16% energy savings in existing buildings, resulting in cost savings of $0.29/sq.ft. and a typical payback of 1.1 years. 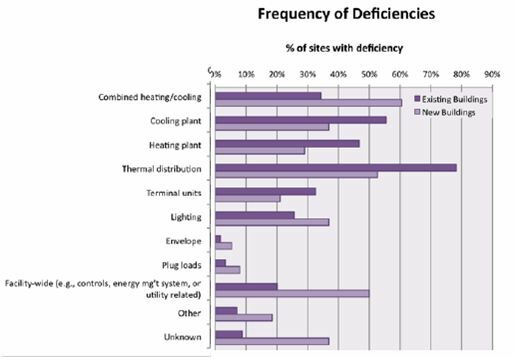 As an isolated measure, addressing lighting deficiencies via commissioning was found to generate a 1.4-year payback. In the lighting industry, the term “commissioning” is often applied to lighting control system activation, or factory startup, in which a manufacturer representative calibrates installed controls as a service. It may also be used to describe functional testing. Commissioning applies to the entire building and its energy-using systems, including lighting and controls. System activation and functional testing are steps within a larger process of ensuring all installed systems satisfy the design intent and owner requirements. ASHRAE Guideline 0-2005, The Commissioning Process, defines a process for commissioning whole buildings. In 2012, ASHRAE proposed a new standard, 202, which will identify the minimum acceptable commissioning process for buildings and systems. In 2011, the Illuminating Engineering Society (IES) developed Design Guide 29, The Commissioning Process Applied to Lighting and Control Systems, which serves as a lighting-specific guide to The Commissioning Process described in Guideline 0. • end-user training and systems manual at turnover (construction phase). A post-occupancy review also may be conducted (occupancy and operations phase). The Commissioning Process is implemented by the Commissioning Team, which is led by the Commissioning Authority. This individual may be an independent consultant or member of the design team. Third-party commissioning, with the Commissioning Authority reporting directly to the owner, is recommended. LEED 2009 requires third-party commissioning for projects 50,000 sq.ft. and larger; the Commissioning Authority must have commissioning experience on at least two building projects. Some utility incentive programs also require third-party commissioning. The Commissioning Team includes the Commissioning Authority, owner, members of the design team such as the lighting designer, and other professionals, as needed. The makeup of the Commissioning Team may change as the project proceeds through its phases. The Commissioning Team develops all procedures, roles and responsibilities, schedules, budget, formats, etc. for implementing the Commissioning Process. This project-specific roadmap forms the Commissioning Plan. The first step in the Commissioning Process is to identify the Owner Project Requirements (OPR). These requirements are developed as a formal pre-design commissioning document—typically by the owner, consultant or commissioning team—providing clear expression of owner requirements and expectations. (The requirements, however, may be vague until the design phase). This document provides a common reference point for the entire design and construction process. The Owner Project Requirements can be quiet detailed, covering owner requirements for spaces and the lighting system, and including information about tasks, surfaces, special applications, architectural constraints, light levels, color, visual comfort, aesthetics, energy efficiency, maintenance, technology, applicable codes and standards, LEED certification, performance, and many other issues. The Owner Project Requirements form the foundation of the Basis of Design (BOD), or design intent, which translates owner requirements into a clear design direction. This formal document, typically created by the design team and evolving throughout the design process, includes descriptions of systems such as lighting and controls, covering issues such as energy efficiency targets, desired technologies, preferred manufacturers, flexibility, maintenance requirements and level of training users will need to operate the controls. The lighting controls part of the Basis of Design is sometimes called the lighting controls narrative. This written document provides a clear, detailed and current description of the control system, its functionality, and its sequence of operations, or what actions it performs as outputs (e.g., turn OFF the lights) in response to various inputs (e.g., occupancy). At a minimum, it includes two sections. The first references the Owner Project Requirements related to lighting control and what strategies will be implemented to satisfy these requirements. The second describes the control system and sequence of operations for each space or general space type. Additionally, the author may include other helpful information such as performance testing and acceptance criteria, control zoning and references to related documents such as wiring diagrams. During the design phase of the project, general concepts and strategies will become more and more detailed. The Commissioning Authority may review some or all design documents to ensure the current Owner Project Requirements are being satisfied. Any equipment substitutions should be approved by the lighting designer. All changes to the design and their impacts should be clearly indicated in the Basis of Design. Performance testing (also called acceptance testing or field commissioning) is conducted during the construction phase, typically by the installing contractor, to ensure what goes into the building produces desired outcomes. The designer should detail all checklists, performance tests, conditions for testing, and criteria for acceptance for use by the contractor in the specifications, along with any required equipment and instrumentation. Additionally, the designer should clearly identify any performance testing required prior to installation, such as manufacturer testing (functionality, UL, etc.) and mockups and sample construction. • owner notification and acceptance of all test reports. Below is a sample form that can be used for equipment verification. As control equipment arrives at the jobsite, a random sampling of each type of control can be opened to confirm it complies with the specifications and/or approved submittals. This form is provided for educational purposes only, and does not supersede actual project commissioning requirements or manufacturer instructions. Is manufacturer and type as specified? Ballast compatible with dimming controls? • The building must be made ready—enclosed, with all windows and exterior doors installed and closed, and with all furniture and ceiling tiles installed. • All lighting and controls should be completely installed and operational prior to testing, with permanent electric power supplied to all light fixtures. • Dimmable fluorescent fixtures should be operated at full output overnight, or about 12 hours, unless the lamps are “pre-seasoned” at the factory. • All equipment needed for commissioning, such as ladders or lift equipment, should be on-site and ready for use. • Obtain a copy of the project drawings and specifications prior to visiting the site. • Ask the control manufacturer or its representative to review any test procedures prior to execution to ensure it will not damage any equipment or affect product warranties. The Lighting Controls Association has developed a number of resources that can aid in installation verification and functional testing of lighting controls systems, including checklists. These checklists are described in Parts 2, 3 and 4 of the Lighting Controls Association’s Education Express course, EE110: Commissioning and Lighting Controls: . They are also available as part of IES-DG-29-11, where they supplement checklists for lighting systems. While the manufacturer’s representative should calibrate and adjust controls to match the specifications and site conditions, additional adjustments may be required during performance testing to ensure the installed system achieves the design intent. A photosensor in a room with light-painted walls and furnishings, for example, will respond differently than a sensor in an adjacent room with dark-painted walls and furnishings. Even such a small difference in application conditions can make a big difference in controls system performance and energy savings for the owner. Subsequent adjustments may involve relocating equipment and fine-tuning the settings of sensors, such as occupancy sensors and photosensors. In older systems, sensors are calibrated by hand. In newer systems, sensors may be calibrated using software. Some new occupancy sensors and photosensors are self-commissioning or can be calibrated on the ground without a ladder. In this classroom and laboratory building, the daylight harvesting system is ineffective because exposed lamps from these direct/indirect luminaires are in the sensor’s view. Performance testing would likely identify and correct this deficiency, aligning reality with the design intent. Source: Deringer, J. 2008. “Daylighting Systems – Commissioning (CxDL) to Avoid/Fix Problems,” Presented at the National Conference on Building Commissioning, April 23, 2008. In this installation, an HVAC duct shades a photosensor, rendering the daylight harvesting control strategy ineffective. Performance testing would likely identify and correct this deficiency. The Commissioning Process requires the commissioning team or other responsible entity to submit a Systems Manual to the owner for formal acceptance as part of project turnover. The Systems Manual is a composite document that provides detailed information about operations and maintenance of a building’s systems, including its lighting and control system, for the owner to use during the occupancy and operations phase of the project. In addition to performance benchmarks, warranties and manufacturer and distributor information for each control device, the Systems Manual should also include final programming, schedules, calibration settings. Upon the turnover of the building and its systems to its owner at the end of the construction phase, facility personnel should also receive training on the proper operation and maintenance of the lighting and control system. This is critical because if users do not understand the controls, they may complain and attempt to override or bypass them. Consider planning for the commissioning authority to return to the project within 10 months after acceptance of the control system for additional testing. Maintenance personnel should inspect all lighting controls for proper operation at least once per year, particularly if reflectances or lighting requirements in the space have changed. • complete a summary report. • conduct post-occupancy evaluation within 10 months after substantial completion and produce a plan to resolve any outstanding problems. Functional testing is required in energy codes based on the 2010 version of the ANSI/ASHRAE/IES 90.1 energy standard. Specifically, all specified lighting controls and associated software must be calibrated, adjusted, programmed and assured to operate in accordance with construction documents and manufacturer installation instructions. Specific requirements are identified for occupancy sensors, programmable schedule controls and photosensors. For example, at a minimum, the party conducting the testing must confirm that the placement, sensitivity and time-out settings for any installed occupancy sensors provide acceptable performance—e.g., the lights must turn OFF only after the space is vacated, and must turn ON only when the space is occupied. Time switches and programmable schedule controls must be programmed to turn the lights OFF. And photocontrol systems must reduce light levels produced by the electric lighting based on the amount of usable daylight in the space as specified. ANSI/ASHRAE/IES 90.1-2010 also requires that certain documents be turned over to the owner within 90 days of system acceptance, including, for example, as-built drawings of the lighting and control system, operating and maintenance manuals for all lighting equipment, recommended relamping program, schedule for inspecting and recalibrating lighting controls, and a complete narrative of how each lighting control system is supposed to operate, including its recommended settings. I read your article it is very informative and impressive. Thanks for specifying the Benefits of Commissioning and eco benefits.